The 24 I-Beam 180 Level features a rigid I-Beam cross section with low profile, shock absorbing end caps for durability. It has a 180 rotating view for a range of situations. Plus the measuring scale is printed directly on the level to help ease the layout work. The powder-coated frame withstands nicks and gives you a comfortable hold. 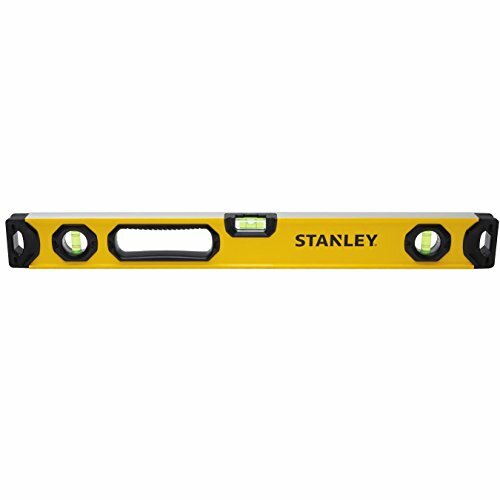 The Stanley STHT42496 24" Box Level (Non-Magnetic) features a center block vial for durability and precise accuracy. This level was designed with large 12mm tubular plumb vials for accuracy of 0.001"/in. It has an enlarged vial housing for brighter lit vials which help visibility, and also offers a MaxEdge bridged center vial which allows for a continuous marking surface and added durability. The shock-absorbing end caps are an added benefit for increased durability and longer life of your tool. 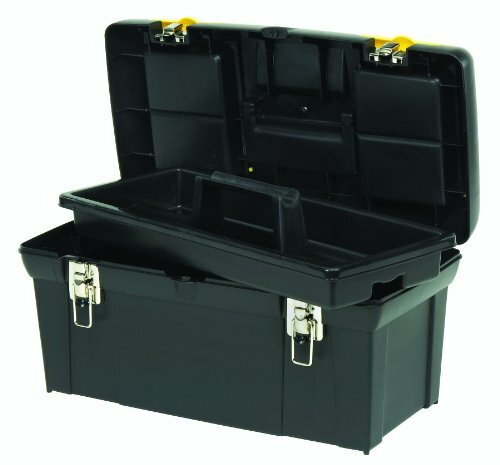 2751-1138 Features: -Toolbox with tray.-2 lid organizers for small parts storage, accessible without opening the toolbox.-Build in pad lock eye for small locks to help keep contents secure.-Soft, wide rubber coated handle allows for easy and comfortable grip.-Nickel metal plated latches.-Tote tray inside to store smaller items.-11'' x 24'' x 11''. 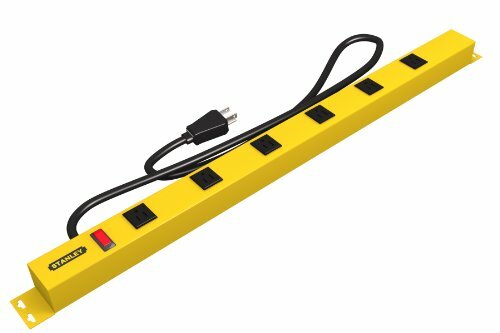 This power bar has a rugged metal housing with 400J surge suppression. The cord is 4ft long, the body is 2ft long and has 6 grounded outlets. There is a on/off switch with a resettable circuit breaker. Both the back and ends have wall mounting keyholes. Rating: 125VAC/60Hz/15A/1875W. 2491-4525 Features: -Large cross section wrecking bar.-Flat, U shaped prying end provides stable base for lifting without damaging surfaces.-Forged recesses for better grip.-Tri lobe cross section for greater comfort.-Additional slot specifically for pulling nails sized 2d through 20d.-24''. Color/Finish: -Hi visibility yellow color. 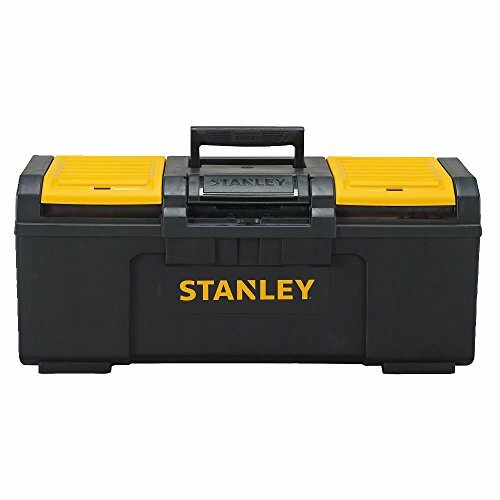 Copyright © Wholesalion.com 2019 - The Best Prices On Stanley 24 Inch Online.